The Piazza bag features a refined folding construction that embodies the understated luxury for which Bottega Veneta stands. This small version is crafted from premium nappa leather in a range of shades, to best highlight its unique origami-like structure. It features three separate interior compartments to organise your essentials. 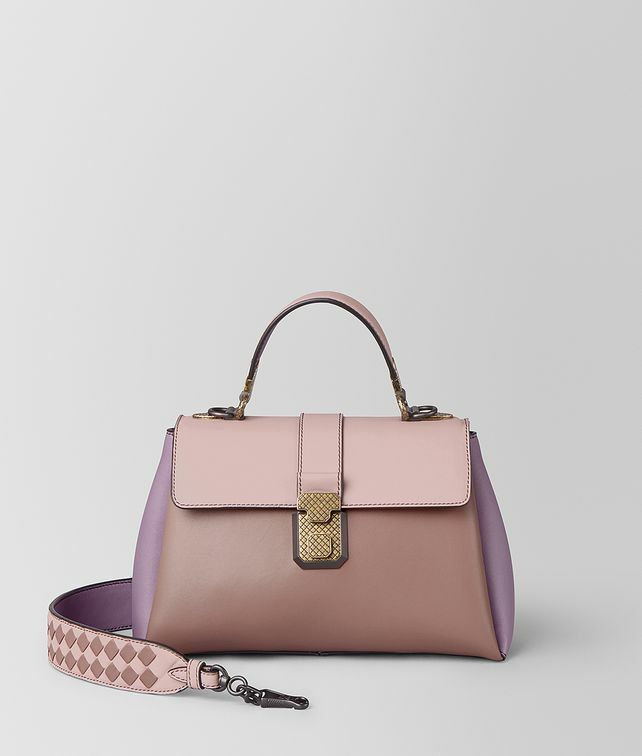 Finished with hand-painted edges, intrecciato detailing and a colourful, chequered shoulder strap. Height: 15 cm | 5.7"